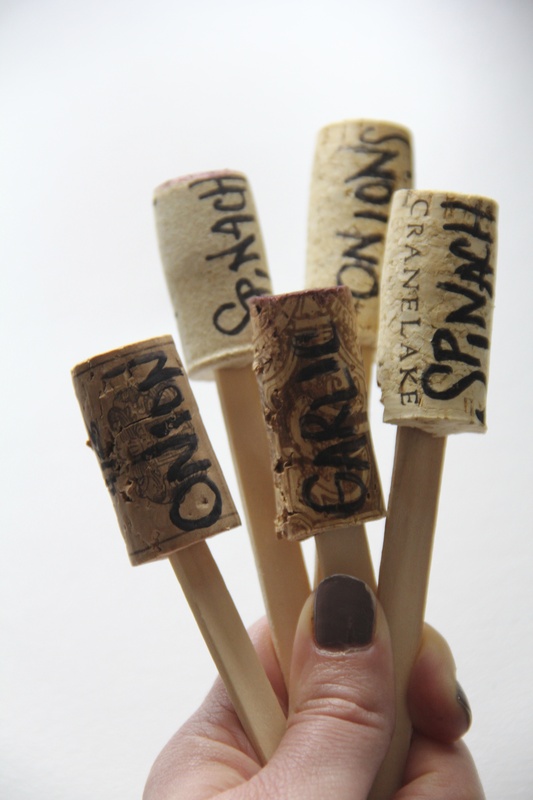 When getting organized for my garden this year I thought- what am I going to mark the plants with? I was researching some cute ideas and came across this one. 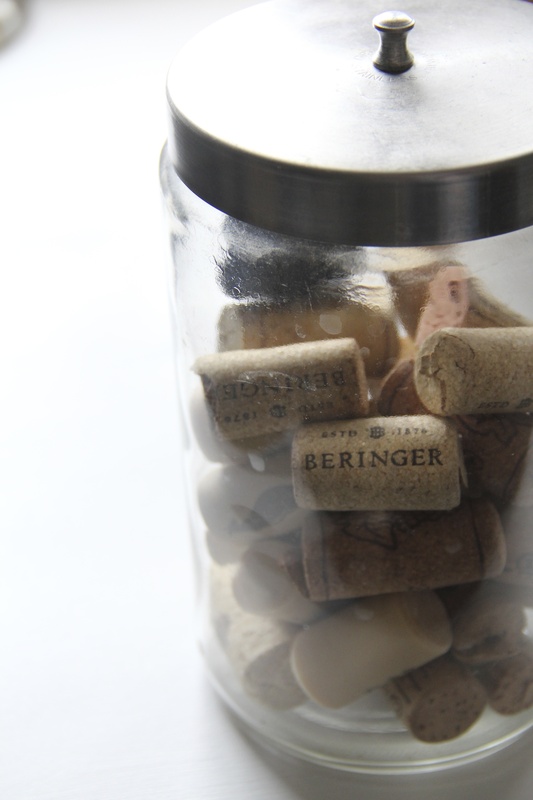 Well for starters, what does a person do with all their saved wine corks besides have them look pretty in a jar like ours? 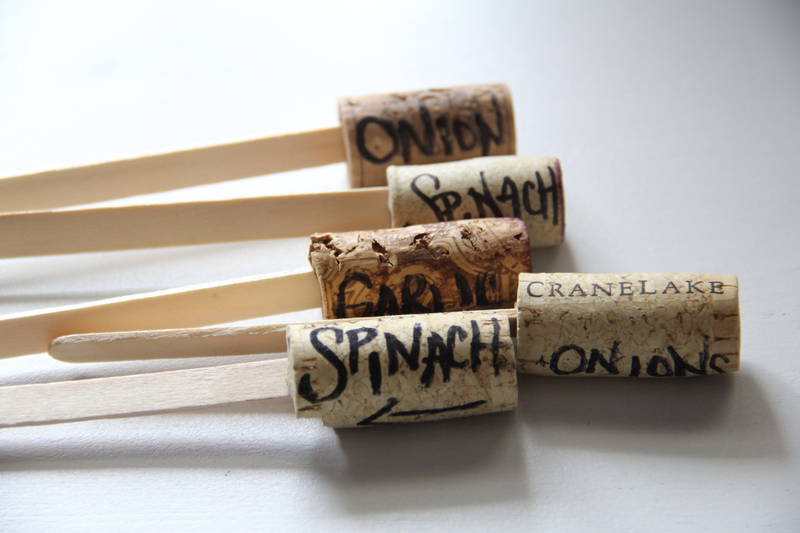 What better use for them than to upcycle them in our garden! I promise you this one is an easy project. 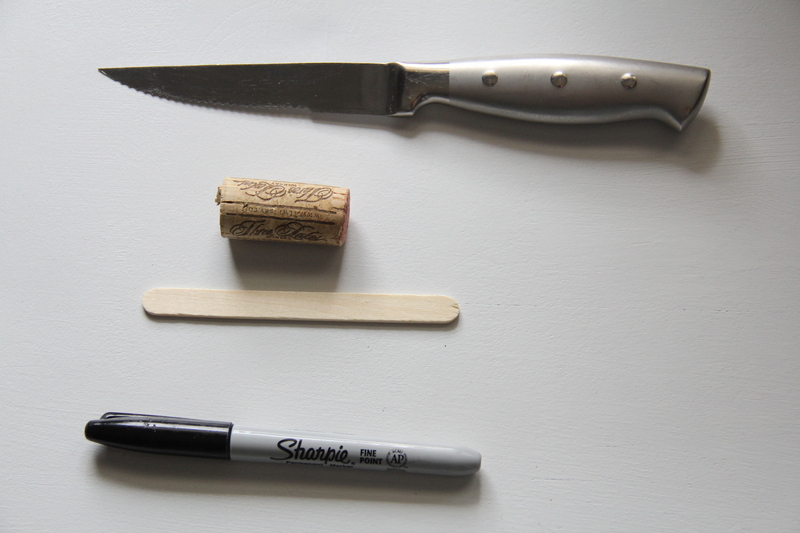 The only materials you need are a sharp knife, wine corks, popsicle sticks (I found 200 for $1 at our local dollar store), and a permanent marker. 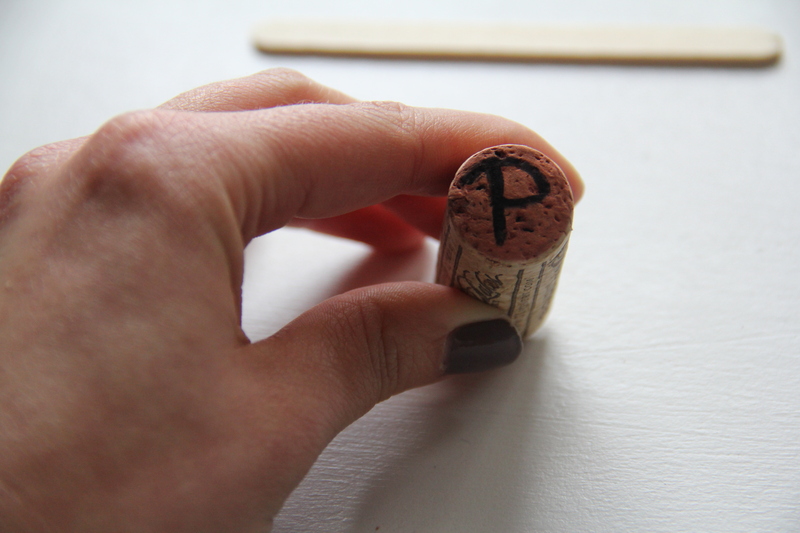 First take the marker and write the name of the plant on the side of the cork. 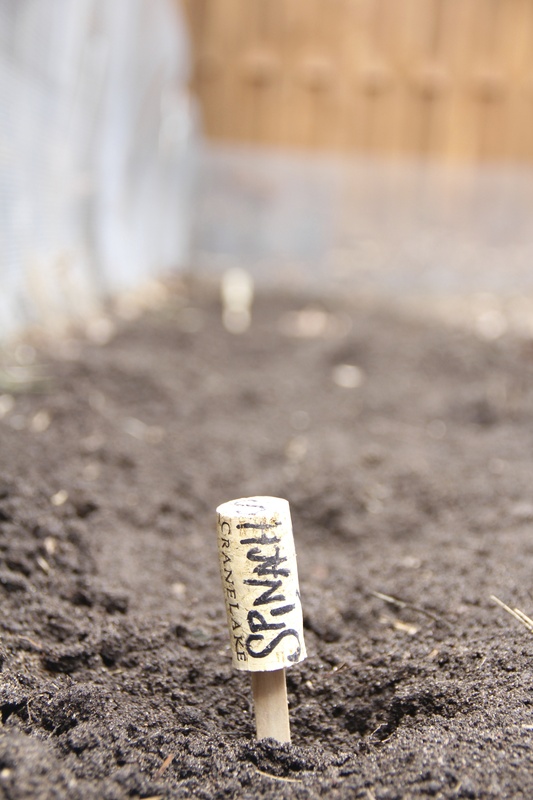 I also put the first letter of the plant on the top so I had a quick reference when scanning from above. 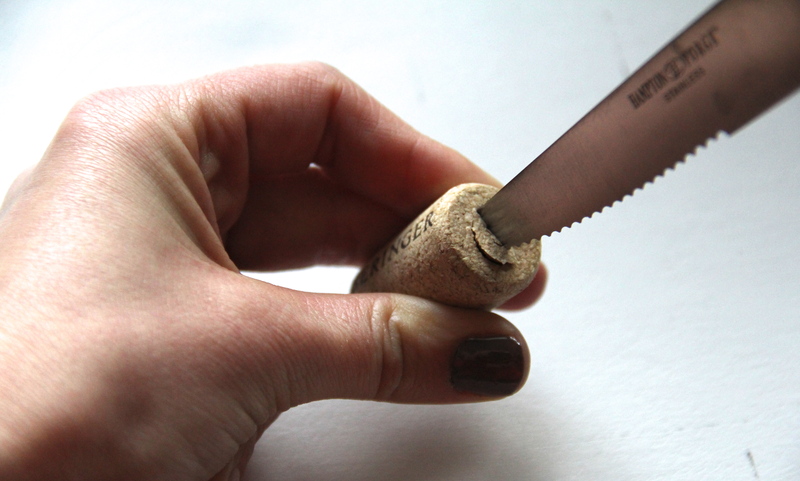 Next, make a slit on the bottom of the cork maybe an inch deep and insert the stick. And it does look fabulous in the garden itself. Now go and get your craft on!